The earliest humans soon learned that the fertility of the soil was dependent upon the favor of the Sun, as well as that of the rains, both of which were bestowed from the heavens. On the other hand were the adverse effects of lightning, wind, and hail, as well as floods. These phenomena were quite mysterious, as well as wonderful or dreadful, as the case might be. Then, as now, people felt themselves at the mercy of these powers; and, since these good and bad energies all seemed to originate in the skies above, it was most logical that they should come to regard the heavens as the seat of the great gods. From this conviction evolved a theory of complete accord between phenomena observed in the heavens and occurrences observed on Earth. There is no doubt that the ancients held the celestial bodies in great regard, perhaps even in veneration. The Book of Job in the Old Testament affirms that "the morning stars sang together" when the foundation of Earth was laid. Later, Job was asked, "Do you know the ordinances of the heavens? Can you establish their rule on Earth?" (38:33). It is clear, also, that the ancients believed that the stars influenced the turn of events here on Earth. In Judges (5:9) it is recorded that Barak, commander of the Israelite army that was faced with a decisive battle with the Canaanite forces under Sisera, took heart when he was told by the prophetess Deborah, "From heaven fought the stars, from their courses they fought against Sisera." Deborah was not the only seer who had knowledge of the stars. Amos (5:8) speaks of God as "He who made the Pleiades and Orion, and turns deep darkness into morning." In Malachi 4:2, the righteous are promised that the "sun of righteousness shall rise, with healing in its wings (rays)." Babylonian priests developed and perfected a system of interpreting the phenomena observed in the heavens for the purpose of determining the will of the powers of heaven. The Greeks enlarged the scope of astrology to include all the known sciences. groupings by the same names as were Empedocles's four elements. Aries, Sagittarius, and Leo were termed fire signs; Cancer, Scorpio, and Pisces, water; Libra, Aquarius, and Gemini, air; and Capricorn, Taurus, and Virgo comprised the signs of earth. In essence, astrology deals with the relationship between the positions of the Sun, Moon, and planets and the life of an individual. Astrology has its philosophical root in the premise that each individual is a universe in miniature and mirrors within himself or herself the astrological pattern found in the heavens at the time of the individual's birth. From the standpoint of astrology, this means that the nature or personality of all individuals is determined by the pattern of the heavens at the time of their birth, plus their reactions to the stimuli found in their environment during growth and maturity. Aries, the Ram, March 21 to April 20, is a fire sign. The name comes from the Greek god of war. Individuals born under this sign have some aggressive traits about them that makes them dominant in friendship, partnership, and marriage. If they are deprived of their desire to dominate, they are liable to become discontented and difficult to get along with. Their views about life are definite, and they have little use for airs and graces. Aries people are a robust lot with a strong resistance to disease of any kind. However, once they do succumb to illness, they are inclined to run high temperatures. Neuralgia and migraines may also hinder them. Taurus, the Bull, April 21 to May 21, is an earth sign. The word comes from the Latin meaning "bull." Taurus people like to have things their own way, but they are not quite as aggressive and as dominant as those under the Aries sign. They are passionate in nature, and love means much to them. They also make splendid mothers or fathers. Taureans are generally not bookish types; they prefer life itself to fiction. Although Taureans are inclined to be generous, they will fly into a rage if they learn that they have been deceived. Gemini, the Twins, May 22 to June 21, is an air sign. According to the ancient Romans, the sign of Gemini represents the twin sons, Castor and Pollux, who were born to Leda, the queen of Sparta, after Jupiter seduced her, the king of the gods. The twins were high-spirited, strong, and inseparable. Geminis are among the most intelligent citizens of the Zodiac; but they have a dual nature, and they frequently have difficulty in choosing between two courses of action. They are active, and they love freedom, change, and variety. In matters of health, nerves are liable to plague Geminis, and they often prefer to live close to meadows and woods where they are able to gain vigor from the wind and the rains. Cancer, the Crab, June 22 to July 22, is a water sign. The ancient Chaldeans named Cancer after the crab, because of its backward or oblique movement, which brought to their mind the sun's immobility during the summer solstice as it enters this sign. Cancers have great imaginations, and they glory in fantasies of love and romance. Cancers hate to be flustered, and they like to take their time over important decisions. Cancer people usually strive to be cheerful and avoid depressions. Because of their natural affinity for water, whenever possible they make their homes on the coast or close to a lake or a large body of water. be in the limelight. Leo people generally have plenty of energy and strongwill power, and they make trustworthy and loyal friends. Leos cherish high ideals and love means a great deal to them. Because they tend to be adaptable, they make good marriage partners. Leo people are excellent and convivial hosts, who love to entertain others with big parties. Virgo, the Virgin, August 24 to September 22, is an earth sign. Virgo was named in honor of the Greek goddess of Astraea, goddess of innocence and purity, who was placed among the stars. A typical Virgo is cool, calm, and collected and never loses his or her head in emotional matters. Virgo people belong to the intellectual class of individuals, and it is not an easy task for anyone to sway them once they have made a decision. On the negative side, they tend to be overly critical of others. They are quick to give vent to their opinions, and they can indulge in biting sarcasm if so moved. Libra, the Scales, September 23 to October 23, is an air sign. Libra is the only symbol of the zodiac that does not represent either an animal or a human. Long associated with harvest time and the fair measurement of crops, the scales may hearken back to ancient Egypt and the belief that the god Anubis weighed the souls of the dead to determine their worthiness. Libra people are often attractive and conform to the idealistic picture of the model man or woman. However, Libras tend to be rather moody and thin-skinned, and they hate anything painful or ugly. Luxury has a great attraction for them; and with their tendency to avoid the unpleasant aspects of life, many Librans live to a ripe old age, having the ability to recuperate from illness more quickly than those born under other signs. Scorpio, the Scorpion, October 24 to November 22, is a water sign. Diana, the moon-goddess of the Romans, commanded Scorpio to kill the hunter Orion when Eos, goddess of the dawn, fell in love with him. After his death, Jupiter set the scorpion and Orion, still armed with his armor and sword, in the stars. Scorpios are definitely possessed of a passionate nature, and they are highly successful in winning the affections of those whom they desire. Scorpio people do not tolerate contradiction, and they can become exceedingly bitter once they are aroused to fury. On the other hand, they can be devoted friends and marriage partners once they have been made to feel secure. Scorpios are blessed with great reserves of strength, which they may draw upon in emergency situations. Sagittarius, the Archer, November 23 to December 21, is a fire sign. Sagittarius is represented by Chiron, the wise centaur, a half-human, half-horse creature, who taught the ancient Greeks and Romans philosophy, music, and medicine. Freedom and change are the watchwords of Sagittarius people. They often find their minds divided, and they hate to have to make a choice between two courses—thus they usually end by trying to get the best of both. Impulsiveness is second nature to them, and movement and change are essential to their peace of mind. Sagittarians are often able to retain their physical youth into advanced maturity, and they are relatively free of health problems as well. Capricorn, the Goat, December 22 to January 20, is an earth sign. Capricorn was named first in honor of the ancient Babylonian god, Ea, a part-goat, part fish entity, who emerged from the sea to bring learning and culture to the valley of Mesopotamia. The Romans transformed Ea to Pan, a half-goat, half-human god who ruled the woodlands and the fields. Capricorns are individuals of deeply rooted habits who tend to become industrious and economical individuals with great powers of endurance. Although generally kind, Capricorn people tend to be somewhat moody, often brooding over imagined slights and injuries. Capricorns are liable to feel sorry for themselves, and they may develop into super pessimists unless they are careful. A Capricorn needs to keep things carefree and light. Aquarius, the Water Bearer, January 21 to February 19, is an air sign. Aquarius hearkens back to ancient Egypt and the god Hap, who represented the Nile River, the sustainer of all life. Aquarians are difficult to describe, for they are often moody, untidy, and rather eccentric—while at the same time being highly gifted and intellectual men and women, who contribute much to art, literature, and allied subjects. Aquarians do not fit into the general concept of conventional living, and they make for most interesting, albeit unusual, friends and companions. Aquarians must be free of mental and emotional tensions if they are to be healthy. Pisces, the Fish, February 20 to March 20, is a water sign. Pisces, the fishes swimming in opposite directions, has been known by that designation since the astrologers of Babylonia named the constellation Two Fishes as long ago as 2000 B.C.E. Although Pisces people are industrious workers, they do not possess a great deal of stamina. It seems that fate often picks on Pisceans, and they are more liable to come into contact with suffering. For this reason, nursing, social work, medicine, and missionary work tend to attract Pisceans, and they are generally willing to make sacrifices for other people. Pisceans must always try to keep their own emotional life on an even keel in order not to disturb their health. While many people associate astrology only with the brief summaries of the zodiacal signs in their daily newspapers and probably don't affix a great deal of serious attention to the advice provided by astrology columns, there are millions of men and women today who still regard the celestial bodies with the same veneration as did the ancients. Zolar, once described as "the dean of American astrologers," wrote in the preface to his book It's All in the Stars (New York: Zolar Publishing, 1962): "Astrology, in its purity, though forming a system of divination, is totally unconnected with either fortune telling or mediumship. It is a divine science of correspondences, in the study and application of which the intellect and intuition become blended in a natural, harmonious manner. They commence to vibrate in unison. When this union becomes complete, the ignorant man becomes the prophetic sage." Joseph Goodavage, author of Astrology: The Space Age Science (1966), began his book with the following declaration: "Over many thousands of years astrologers have deduced a connection between the motions of the planets and positions of the stars with every kind of terrestrial activity. Their ability to predict future trends—even actual events—has been repeatedly demonstrated." 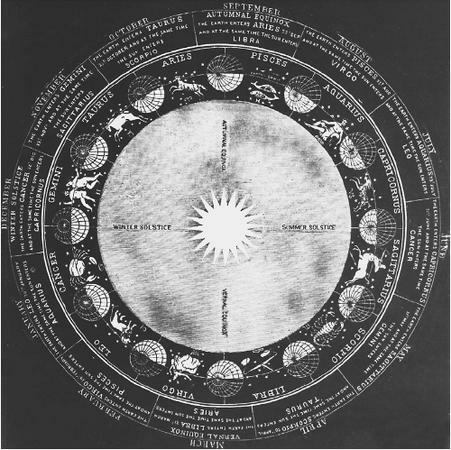 The "Star Gospel," outlined in The History of Creation and Origin of Species (1967) by Reuben Luther Katter, attaches religious interpretations to the 12 signs of the zodiac. Katter stated that the Star Gospel, also called Adamic Theology, antedates the Old Testament by 2,500 years. The Star Gospel uses the same 12 zodiacal signs as does astrology, but begins with Virgo and ends with Leo. Katter stated that, according to tradition, Jacob and his 12 sons carried zodiacal tablets and banners into Egypt and carried them out in the exodus. Like astrology, the Star Gospel holds that the 12 signs stand for 12 positions of the Sun in relation to Earth. While Western astrology evolved from the Egyptians, Babylonians, Chaldeans, and Greeks, Chinese astrology developed independently of outside influences and was formed around the belief that the emperor was divine. Some scholars of astrology place the beginning of Chinese astrology during the reign of Emperor Fu Hsi around 2800 B.C.E. and attribute the naming of the 12 signs of the Chinese zodiac to a legendary Emperor Yao. The figures of the Chinese zodiac bear no similarity to those of the West. Each sign is represented by a different animal and is composed of a 12-year cycle. The interpretations of these signs emphasize different animal characteristics from those typical of classic Western stereotypes. For example, while a rat fills a European with revulsion, the Chinese zodiac sees the rodent as hard-working and industrious. In addition, there are five elements— wood, fire, earth, metal, and water—rather than the four of Western astrology—earth, air, fire, and water. The animals of the Chinese zodiac are the rat, ox, tiger, rabbit, dragon, snake, horse, ram, monkey, rooster, dog, and boar. According to tradition, when the Buddha (c. 563–c. 483 B.C.E.) lay dying, he called upon the animals to come to bid him farewell. The first 12 to arrive were the ones who are immortalized in the Chinese zodiac. Astrology has been an integral aspect of daily life in China for centuries and remains so today. Although Communist doctrine and its rationalistic leaders have attempted to stamp out the influence of astrology and to depict its tenets as nothing more than superstition, the average man or woman in China will still make major decisions based on the guidance received from astrology. 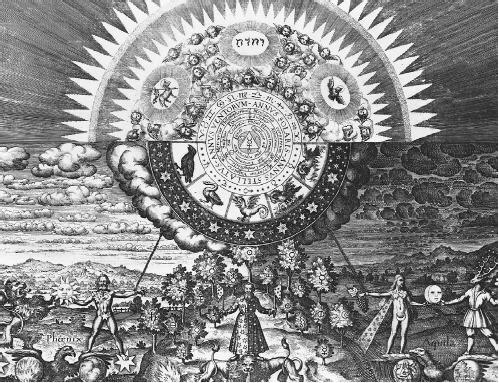 Throughout Western history astrologers have claimed an association with the movements of the planets, comets, and eclipses with every important event that has taken place. Among the more familiar are the appearance of comets at the birth and death of Julius Caesar (c. 100–44 B.C.E. ); the advent of World War I (1914) heralded by solar and lunar eclipses; and the birth and death of Mark Twain (1835–1910) coincident with the appearance of Halley's comet. In addition, astrologers have proclaimed the influence of the "stars" on the lives of everyone from Alexander the Great (356–323 B.C.E.) to President George W. Bush (1946– ). (c. 580–c. 500 B.C.E. ), Aristotle (384–322 B.C.E. 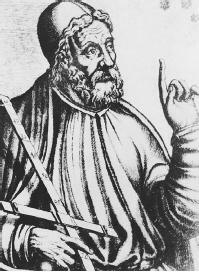 ), and Ptolemy (127–151) were all astrologers. Nicolaus Copernicus (1473–1543), who gave science its first rational view of the universe, was a doctor, theologian, astronomer, and astrologer. In the Middle Ages, magi, alchemists, scholars, and even the papacy embraced astrology. Pope Julius II (1443–1513) trusted his astrologers to set the date for his coronation; Pope Paul III (1468–1549) was guided throughout life by his horoscope; and Pope Leo X (1475–1521) established a chair of astrology at a major university. Church scholars began to associate the signs of the zodiac with the 12 apostles, and cathedrals throughout Europe were decorated with zodiacal symbols. Danish astronomer Tycho Brahe (1546– 1601), who built the first astronomical observatory in the Western world, practiced and defended astrology. Brahe's exact planetary figures allowed his pupil Johannes Kepler (1571–1630) to work out his great Laws of Motion. Sir Isaac Newton (1642–1727), who followed in Kepler's footsteps, used an eclectic mix of science and astrology to arrive at many of his theories. Admiral George Dewey (1837–1917) and President Grover Cleveland (1837–1908)consulted astrologers throughout their lives. Psychiatrist Dr. Carl Jung (1875–1961) used astrology charts to assist him in diagnosis and treatment of his patients. John J. O'Neill, science editor of the New York Herald Tribune, the first science writer to win a Pulitzer Prize, began as a skeptic and ended up a believer in astrology. Astronomer Gustaf Stromberg (1882–1962) of the Mount Wilson Observatory believed in the charts of astrology as well as the science of astronomy. French psychologist and statistician Michael Gauquelin (d. 1991) spent more than 30 years investigating astrology, exhaustive research that led him to give verification to the importance of the planetary positions at a person's birth. British astronomer and Fellow of the Royal Astronomical Society Percy Seymour (1901–1980) set forth his theory that astrology is neither magical nor mystical—but in fact—magnetic. blitz of London, someone in Great Britain's newly established Psychological Research Bureau (PRB) decided that if they had an astrologer in Britain who could make the same calculations that the Nazi astrologers would make, the Allies might be able to ascertain what Hitler intended to do next. Louis de Wohl (1903–1961), the son of an officer in the Royal Hungarian Army, a novelist by profession, was known to be an expert in the field of astrology who had studied the subject for more than 20 years. De Wohl was solicited by the PRB to chart a course in the stars that would help bring about the downfall of the Third Reich. His known opponents on the Nazi side were astrologer Karl Ernst Krafft (1900–1945), graphologist/astrologer Elsbeth Ebertin (1880– 1944), and Wilhelm Wulff (1893–1984), Himmler's personal astrologer for the SS. While de Wohl made some startling hits, such as predicting the date that Germany would invade Holland in 1940, overall he scored only an average number of accurate predictions. However, for whatever astrological accuracy he may have lacked, he more than compensated when he devised the ingenious plan of forging 50 astrological quatrains allegedly from the pen of Nostradamus (1503–1566) in which the great seer predicted the downfall of the Third Reich. These astrological leaflets were then dropped over Germany with the desired demoralizing effect. De Wohl had done such a superb job of imitating the old French seer's unique style in the "newly discovered quatrains" that even Joseph Goebbels (1897–1945), Hitler's propaganda minister who earlier had employed a similar deceit to predict Nazi triumph, was fooled. Former President Ronald Reagan (1911– ) and First Lady Nancy Reagan (1921– ) were devotees of astrology long before their tenure in the White House, as were other actors of their Hollywood set, such as Tyrone Power (1913–1958), Susan Hayward (1918–1975), Marlene Dietrich (1901–1992), Ronald Colman (1891–1958), and Robert Cummings (1908– ). The Reagans continued to confer with astrologist Joan Quigley regarding important dates and meetings while in office. While some Americans were shocked to learn that their first lady was using the advice obtained from an astrologer to plan her husband's day-to-day schedule, citizens of India seemed to accept calmly the fact that Indira Gandhi (1917–1984), prime minister from 1966 to 1977 and 1980 to 1984, used astrology to assist in decision-making until her death by assassination in 1984. Many astrologers feel that the figure of a ship upon the ocean, with no visible paths to follow, no clearly defined turns or alternative routes, and with no landmarks on which to guide itself, is appropriate to describe the methods by which they may assist an individual in a situation that requires decision-making, for, in the majority of decision situations, there can be more than one alternative. The astrological diagram of the zodiac places each individual facing a moment of decision in the center of destiny, represented by a circle, universally known as the symbol of infinity, as well as perfection. The astrologer then draws radial lines from the individual's position to the circumference, or, poetically, the perimeter of eternity, thus symbolizing the unperceived number of possibilities accessible to him or her. Even if the individual is aware of only 12 of these, as might be illustrated by the houses of the zodiac, it is enough to cause him or her to wish for some sort of "navigator" to help interpret any directional signs that may be present. The art (or science) of astrology, as practiced by a competent astrologist, may serve as one star to be used in making a fix on the chart of destiny. The astrologer and the celestial navigator have a number of things in common. Both look to the heavens for their points of reference; both make use of charts and tables developed during centuries of observation and recording. Both arrive at their conclusions through mathematical computation. The navigator charts a course, but does not establish a destination. The astrologer casts a horoscope, but does not determine character or destiny. The role of astrology, so say the astrologers, is comparable to a ship's compass. The compass points the way to a predetermined destination, but it does not establish that destination. As a helmsman turns the ship's wheel to bring the vessel into accord with the compass, so the individual's free will must bring the vessel of his or her life into accord with the findings of astrology, if he or she is to benefit from them. By placing each individual at the center of the zodiac, astrology affirms that person's rightful place at the hub of the wheel of life, and it maintains that there is more in heaven and Earth than is conceived of through various philosophies of the five senses. Modern astrology recognizes that human beings were not created to be mindless marionettes able to move and act only through the remote direction of forces they cannot comprehend, much less influence. At the same time astrology requires its adherents to accept responsibility for themselves and for their actions. In one sense it imposes an even greater responsibility, for having been made aware of their greatest potentials, according to the best knowledge and techniques available, those who steer their lives by the stars can no longer plead their failures due to blind chance and the fickleness of fate. According to the astrologer, free will includes the prerogative of individuals to avail themselves of the best advice and direction from any and all sources they deem creditable before embarking on any course, before setting foot on any path, before making any decision, great or small, and to follow through once he or she has decided. Astrology, as practiced today, not only affirms the pre-eminence of free will, but insists upon it; and, according to its adherents, astrology, rightly used, serves as a dependable compass, pointing the way across time. Adams, Evangeline. Astrology for Everyone. New York: Dell Books, 1971. Forrest, Steven. The Inner Sky: Dynamic New Astrology for Everyone. New York: Bantam Books, 1984. Goodavage, Joseph. Astrology: The Space Age Science. New York: Signet Books, 1966. Goodman, Linda. Linda Goodman's Sun Signs. New York: Bantam Books, 1985. Lee, Dal. Dictionary of Astrology. New York: Paper-back Library, 1968. Quigley, Joan. Astrology for Adults. New York: Holt, Rinehart, Winston, 1978. Woolfolk, Joanna Martine. The Only Astrology Book You'll Ever Need. New York: Madison Books, 2001. Very informative. Please mail me on an additional info on this topic.